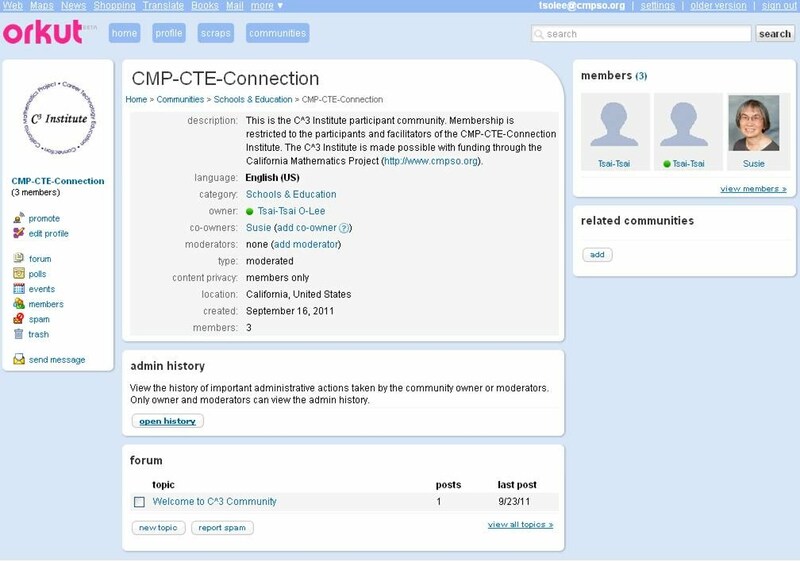 1 Join the CMP-CTE-Connection Institute Community on Orkut! 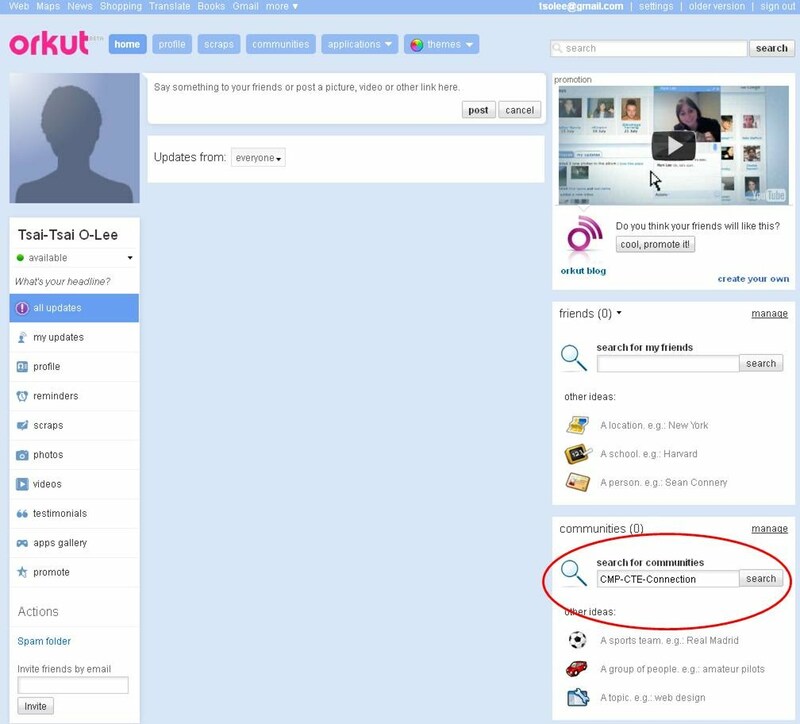 1.1 Go to http://www.orkut.com and log in with your existing Google account (Gmail, Google Docs, etc.) or follow the link to create a Google account. 1.2 From your profile page, add "CMP-CTE-Connection Institute" to your communities. 1.3 Once added, you will should see the C3 logo under your communities section. 1.4 Click on the logo to enter the community page. Interact with your colleagues by responding to various forum topics or starting one of your own. Discussions will be moderated. 2 Join the CMP-CTE-Connection Institute Google Group. This group will give you access to the C3 collection on Google Docs and provide an easy way for us to disseminate information and updates to the group via email. 2.1 Go to http://groups.google.com/a/cmpso.org/group/c3 to apply for membership. Join the CMP-CTE-Connection Institute Community on Orkut! Go to http://www.orkut.com and log in with your existing Google account (Gmail, Google Docs, etc.) or follow the link to create a Google account. From your profile page, add "CMP-CTE-Connection Institute" to your communities. Once added, you will should see the C3 logo under your communities section. Click on the logo to enter the community page. Interact with your colleagues by responding to various forum topics or starting one of your own. Discussions will be moderated. Join the CMP-CTE-Connection Institute Google Group. This group will give you access to the C3 collection on Google Docs and provide an easy way for us to disseminate information and updates to the group via email. Go to http://groups.google.com/a/cmpso.org/group/c3 to apply for membership.